Hey gang. I've been gone on a long needed vacation, but haven't forgotten you, all my faithful followers. 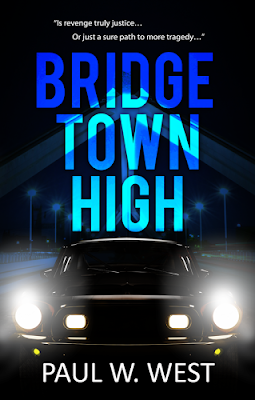 I've been working on a new blog site and a new web page for my novel BRIDGETOWN HIGH. It's exciting and you'll see it as soon as it's ready. In the meantime, keep in mind my Bridgetown High goes on pre-order this Saturday, Sep 26, and it goes live Oct 06.